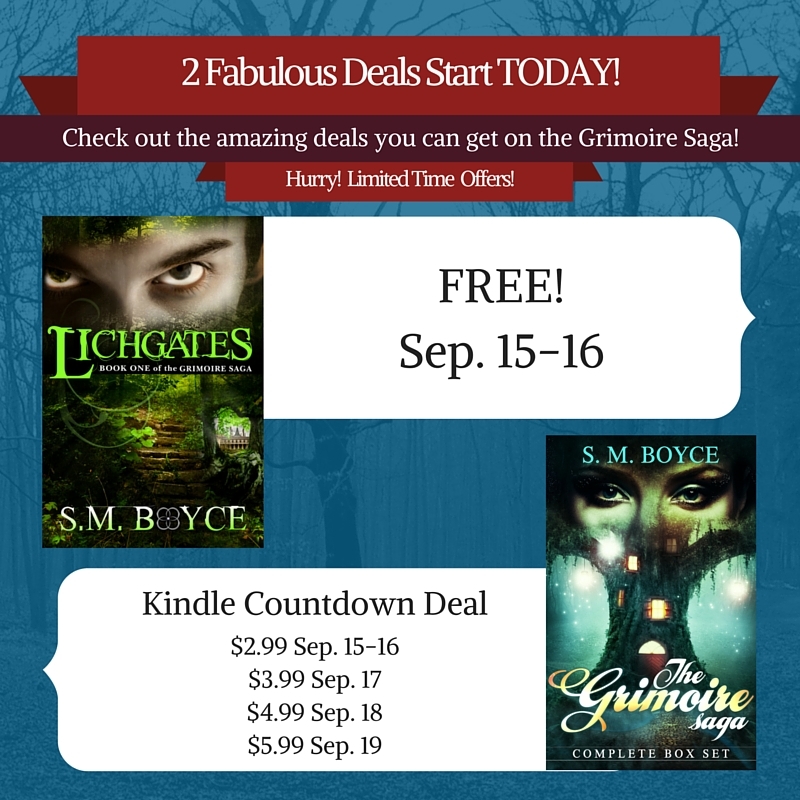 Another chance to grab a great deal on the Grimoire Saga! Just like the deals a few weeks ago, Lichgates is FREE for a limited time. However, if you want all 4 books for one low price, you can’t go wrong with the Grimoire Saga Complete Box Set which is only $2.99 today and tomorrow. The box set includes Lichgates, Treason, Heritage and Illusion. As with all Kindle Countdowns, the price increases as days pass. Below you’ll find a handy graphic that announces the deals this week. If you’re just now being introduced to the series, or if you’ve been waiting to move onto books 2, 3, and 4, today and tomorrow are the absolute best days to grab this deal. Grab the Grimoire Saga Complete Box Set now! No problem! You can still participate in the Grimoire Saga Epic Deals Week and read these books on your favorite device. Kindle books (and any Mobi file) can be read with the Kindle App available on most devices. For more info, visit Amazon’s App Page.